In this video, Jorge Diaz from Larry Jacob Internet marketing shows us how Memberium’s Umbrella Accounts feature works and demonstrates how anyone can use it with their Memberium site. Umbrella Accounts allow you to sell memberships to small groups, teams or corporations. The way this works is when a new member joins, they can add a certain number of people under them to get access to the membership program or online course they just joined. Jorge shares a few key lessons he had learned along the way from setting up these sites for his clients and shares some important things to consider if you’re thinking about using Memberium’s Umbrella Accounts feature. Throughout this video, Jorge helps demystify how Umbrella Accounts really work. 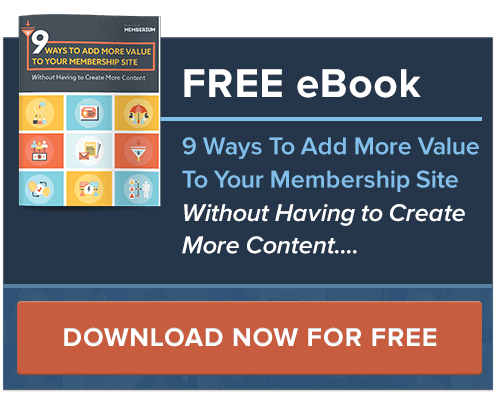 In the simplest way you can use it, it’s pretty easy to set up for any membership site. At the same time, it’s also very powerful with everything that you can potentially do with it. And there’s a lot you can potentially do with Infusionsoft to automate everything. In this walkthrough, Jorge helps show us what options are available and shows us how everything works in an easy to understand way. You’ll also get a peek under the hood at some of the Infusionsoft campaigns he uses to manage these sites and see how they work. The Umbrella Accounts feature is only available for all Memberium “Pro” or “Advanced” users. If you’re interested in upgrading your standard Memberium license so you can start using Umbrella Accounts, please reach out to support and they’ll be able to help you upgrade your license automatically for you. If you’re interested in possibly working with Jorge and Larry Jacob Internet Marketing, he’d be happy to talk with you over the phone about anything you’re looking for.